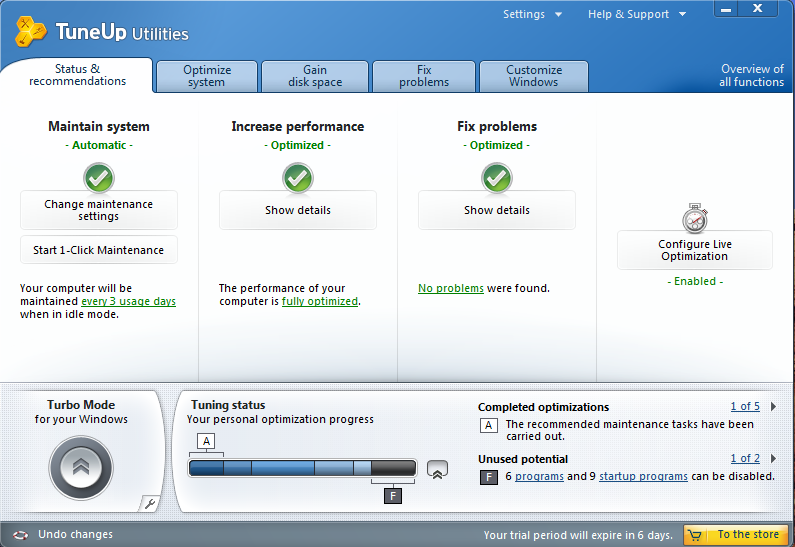 Tune up utilities 2011 is easy to use, intuitive, and really will keep your system optimized and running smoothly. I love it. Count me in… Great Giveaway Here! This looks like a very interesting and comprehensive programme that would be good to own. Please count me in and, as always, keep up the excellent website!! Cool utility, i could use this along with CCleaner to keep things ticking! I used my old licensed TuneUp Utilities 2009 on my older computer with WinXP Pro and I am most satisfied with this. But on the Win7 Home Advanced (64bit) TUU 2009 are impossible to use. Could you provide me with free license for TUU 2011 please? Please count me in for the your Tune-Up Utilities giveaway as well.I am using JV 16 PowerTools trial version now,would love try Tune-up as its new 2011 has several improvements.Thank you for your generosity. A huge thanks and congratulations on conducting this fabulous giveaway. Have a nice evening Bill. Still the most consistently interesting and informative site on the net; bravo!! I am still using Tuneup 08 and they get better each year. Please count me in! This is one of the best Windows tweaking utilities. I wan to win this lisence of 2011’s version to upgrade my current 2010. Congratulations for this useful giveaway . Please count me in . 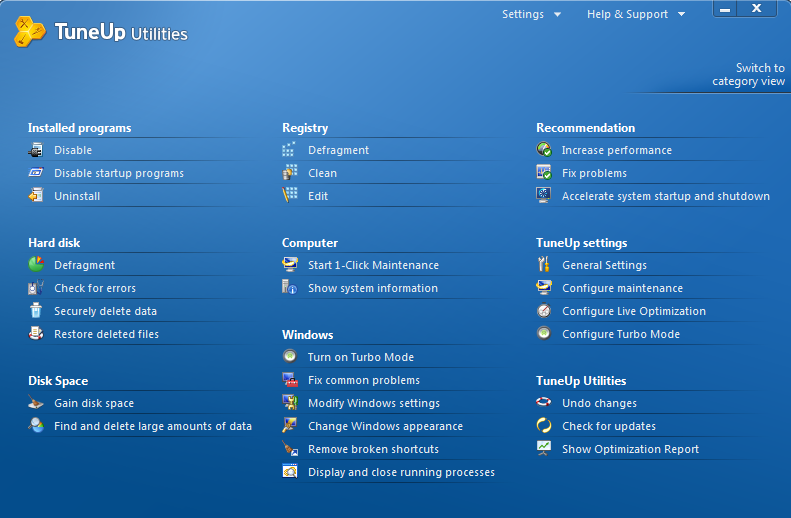 TuneUp Utilities 2011 to pakiet, w składu którego wchodzi szereg narzędzi pozwalających na zarządzanie i optymalizację pracy systemów Windows. Wśród nich znaleźć można aplikacje odpowiedzialne za zarządzanie pamięcią komputera, bezpieczne kasowanie i odzyskiwanie danych, czyszczenie rejestru i kasowanie niepotrzebnych plików systemowych, odinstalowywanie aplikacji, zmianę boot screena, ikonek przypisanych do konkretnych rozszerzeń itp. Kilkanaście narzędzi dostępnych w TuneUp Utilities 2011 oferuje właściwie wszystkie funkcje potrzebne do zoptymalizowania pracy systemu. Please add me to the list. I tried Tune-up and love it… don’t let my temporary license expire! Count me in for the giveaway. Still using 2009 version but need 2011 version that works with Windows 7. Great piece of software for finetuning/optimizing your system. Turbo Mode is awesome in the ver2009. It moves in the background making your pc upbeat and functioning really groovy. If you recommend it Bill. Count me in, I’d like to try it. TU2011-FOR me the Swiss knife for the system.Please count me in! A BIG THANK YOU TO ALL WHO HAVE PARTICIPATED TO THIS POINT. A sweet giveaway like this just makes it better. this is a giveaway that’s really worth winning – thank you for the opportunity! Man I sure could use this ! Thank you Bill. Good luck to all ! “enter me” our I’ll go insane,well mabe not. Great offer Bill. Thanks for the chance to win this great app. I Use TU2009, TU2011 i want to use. Good luck. moments I wish this could happen. thanks for the giveaway and great review. Appreciate if you could count me in. 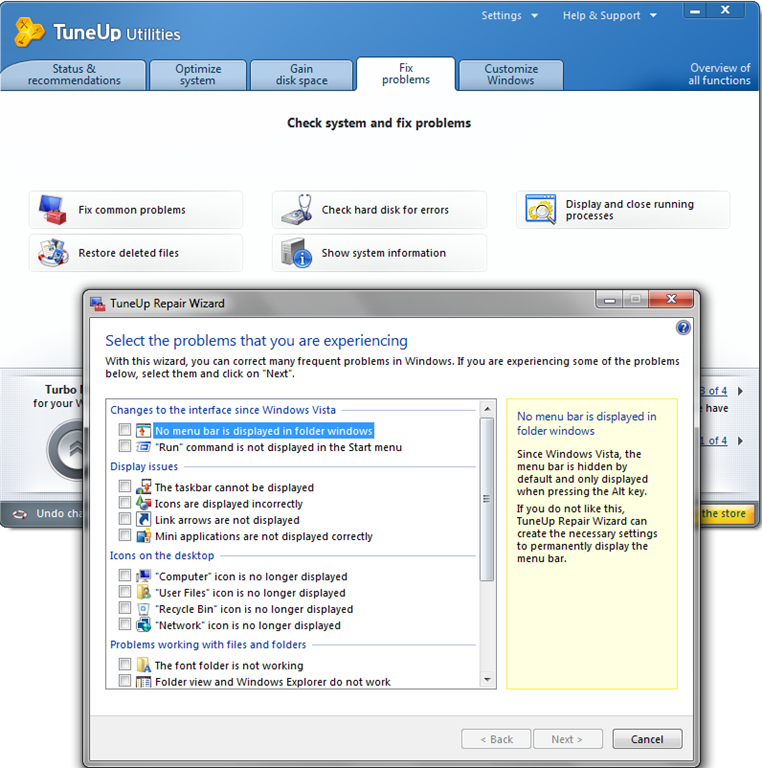 I have been using Tuneup Utilities for three years now. I love it and would love to upgrade to 2011. Please add me to the list. Thank you! I agree with you that “TuneUp Utilities 2011 is easier to use than ever, is overwhelmingly inclusive, and provides virtually every tool and applet, that an average computer user is ever likely to need.”. Please enter me in this great giveaway!! Hey Bill – thanks for setting this give-away up. I read this blog everyday and its getting bigger and better all the time. I would absolutely love to win a license of this software as I am planning to buy a new PC in a couple of weeks and know this would make a great addition to it. Thanks so much for setting up this give-away! I use TU2009 and would love the opportunity to use TU2011 after all the improvements that have been made to it! I would also like to pose a Q to your readers…I am about to set up a new Win 7 Pro PC and I am wondering about the best combination of firewall and antivirus to use. I am an average to experienced user. I have considered. I currently use online armour (free) and avast (free) and SuperAntiSpyware Free and Win Patrol. I will also use SuperAntiSpyware Pro and WinPatrol (full version) in combination with with above on the new PC – please can you recommend the best AntiVirus and Firewall combo set-up? I quite like what you’re running currently. For what it’s worth, here’s what I run on my primary home system. I’ve never had an infection, and I often do some dangerous surfing on this machine (always in virtual mode of course – just in case). It might appear that I’m a cheap date, but I’ve found over the years that the free versions (in most cases, for users like you and I), are more than adequate. Trust me to come late to the party! Been watching England playing cricket in Brisbane, temp 27c, on my TV with 6″ of snow outside my window. Andrew Strauss and the boys are doing well so please complete my happiness by entering me in the draw. I heard you fellas got a whack of snow. Welcome to the Canadian winter reality. 🙂 Hopefully, yours will melt soon. Ours, on the other hand, is already setting in for the next 4+ months. Thank you Sir Bill for conducting a great giveaway! I have been using TuneUp Utilities for nearly a year and truly believe that this program lives up to everything it says. Count me in big time. Please enter me in Tune Up Utilities 2011 License Giveaway draw. Please include me for the giveaway, thanks.. 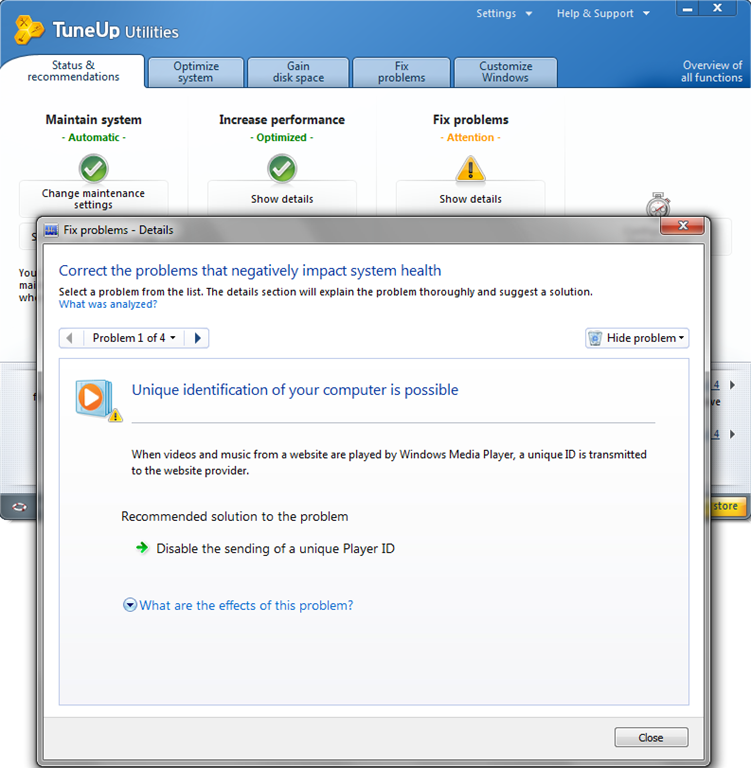 I have tried Tune Up 2009 and hope to get a chance to upgrade it to the latest version.. THANK YOU – to the latest participants and good luck! thanks to you also Mr Mullins..
nice software review and its giveaways.. Please don’t consider me though as I recently purchased this excellent software. The winners won’t be disappointed as this continues Tune Up’s fine tradition of getting the job done with minimal disruption. Thanks Bill for this offer. Include me in this giveaway.Regards. Good to have you in on this one. Thank you for offering such a great program! Perfect software no problem windows ! I use to have the TU 2009 free versions before. Hopefully can win 1 licese of the latset model. Thanks Bill Mullins for great review and giveaway. Please count me in. 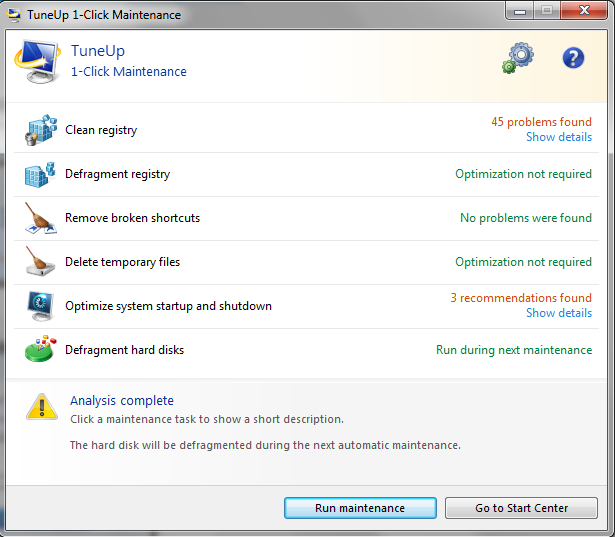 TuneUp Utilities is great program for optimizations. The best feature is problem fixing and Windows customization. Hope to see a sweet email from you. Thank you very much for the giveaway, Please count me in. Thanks for giveaway opportunity. I would appreciate if you could count me in. Great Giveaway.. testing it out now and so far loving the way this one is going.. I would definitely love a shot at a free license.. Please count me in. I have a 2009 license and would like to get the latest version, especially with the deactivator feature. WOW so happy to read this article and a contest this is so great thanks. Now waiting for the luck to play its role. Please add me to this quickly growing list of hopefuls. Please enter me in this giveaway! Thanks! Count me in please! Thank you in advance. Without doubt one of the best applications on the market to optimize the system. I use version 2009 and I am very pleased. 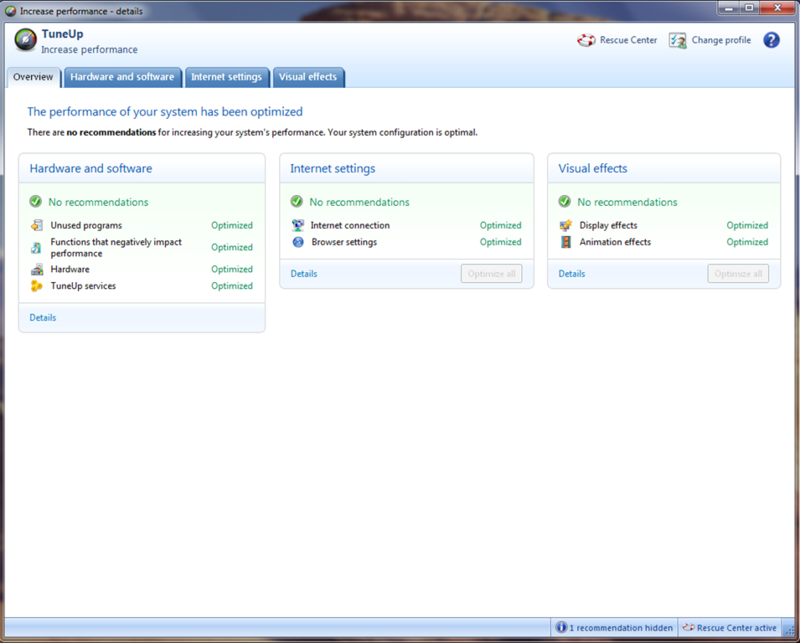 In TuneUp Utilities 2011, an option to disable unused program without having to uninstall it looks particularly interesting. It would be nice to win one of the licenses. Cheers for the offer Bill. Hello. I have to win this becouse it is stronglly recommended for my computer. Greetings to everyone but PLEASE – i really have to win this giveaway. And as always with Bill decent programs. I will gladly participate in this contest. All what Tune up do i also can do alone. So why must i have such a Programm. Great giveaway , to bad I’m System Mechanic fan since version 2011 of TU is to buggy and interface is awful slow , please don’t count me in is just an opinion. Hey Bill what a great giveaway and what a great product. I have 2009 on my old xp and would be lost without it. I would gladly appreciate a copy for my wife’s labtop. Good luck to all, and for those who do not like the newer versions, do a custom install and check what you think you need. Great product and great giveaway. Thanks for entering me into the contest. thanks Bill for the giveaway , Still using 2009 version hope i will win this one. Great article and terrific giveaway. You’re the best. Count me in and good luck to everyone. Hi,tuneUp utilities is very gut software,easy to use and very intuitives. I have a TuneUp utilities version 2009 and is very good. I hope a win one license. Now this is something I would like to try so I could pass it along to my less techie friends if the software works well. Thanks for Giveaway Bill!! Friends always need some help. Hope i’m in time for the draw. Thanking you for the giveaway. 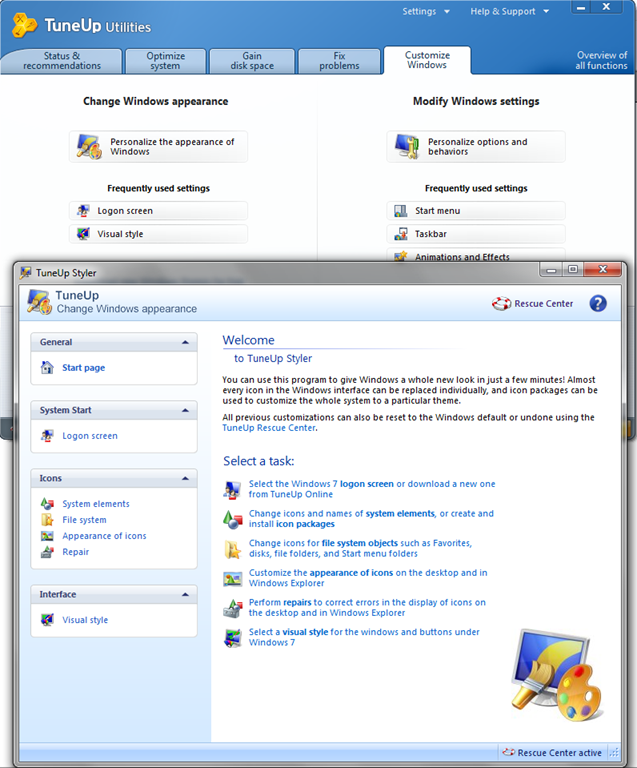 Please count me in the givingaway of TuneUp Utilities 2011 – Five License Giveaway!. I want one license only. the site is great. hope to win a copy of TuneUp 2001. Your web site is the ultimate source of the best in Technology and I recommend your web site to every-one! I hope to win a Free copy of TuneUp 2001. 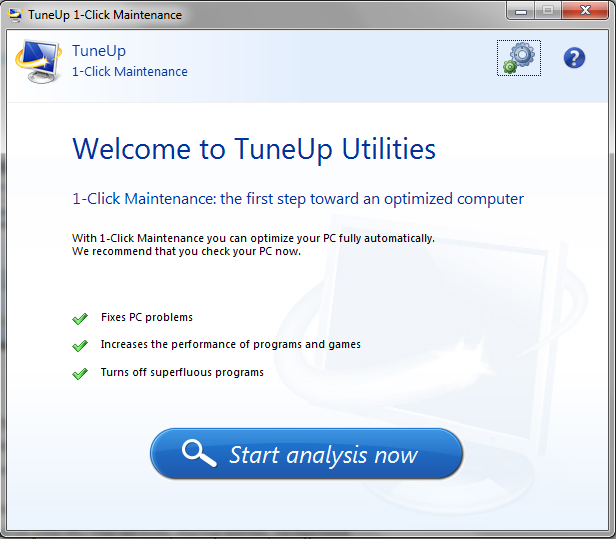 Many thanks for this giveaway, I didn’t have to read the review to know tuneup utilities 2011 is a great software that I’d like to win. I learn more about computers everyday. Keeping my family’s computers running and safe is almost a full time job. USMC retire so I have the time. Thanks for the offer. Would love to receive the 5 license pack! Nice, please count me in. Thanks for this excellent giveaway and please add me to the list. I have used this program in the past. I would love to try it again and see if it beats the program I currently use. Count me in. This is just what I need Bill. Great giveaway! I’d love to win this. Can you add me into the contest please. Would sure love to win this! enter me in the draw , thank’s. Hi Bill, TU is a fine program, it would be great to have the possibility to use 2011 version. Please count me in. Thanks in advance. Cheers. Thanks for giveaway ! Count me in please. I kinda like it’s new features. Would like to try my luck.. Program looks great. Hope i get lucky. Thankyou so much sir for this giveaway. 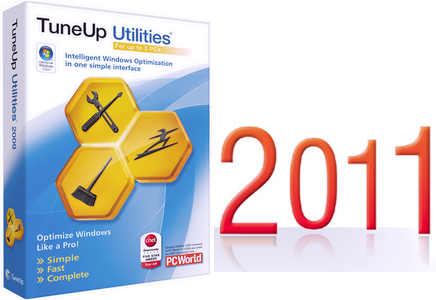 Tuneup-Utilities 2011 is the best utility software i have ever used.It makes my old pc runs fast and smooth.Hope i win a free license for that. I own TuneUp 2007 and it is still a good soft. Would be nice to upgrade this way (free). Will be great to have this. Please count me in. Absolutely fantastic program, a class by itself. Please count me in. Great piece of software. Very good program. I recognized him from the 2007 version. I bought the 2010 version and are happy to win the 2011 version. So far, no other program of this kind does not deserve the installation in my computer. Good review and a nice giveaway. I have been using TU 2009, love it. Give me a license for TuneUp Utilites 2011. This is far best program. I want to participate and win. Please do count me. I used Tuneup 2010 and I’d like a license of the new version. Count me in and good luck to all! I love Tune Up utilities, please count me in!! Please count me in. I would like to win this wonderful giveaway. Nice giveaway…never used this program….Hope win. Include me in this. Hope to win the newest TuneUp. This contest is long over.